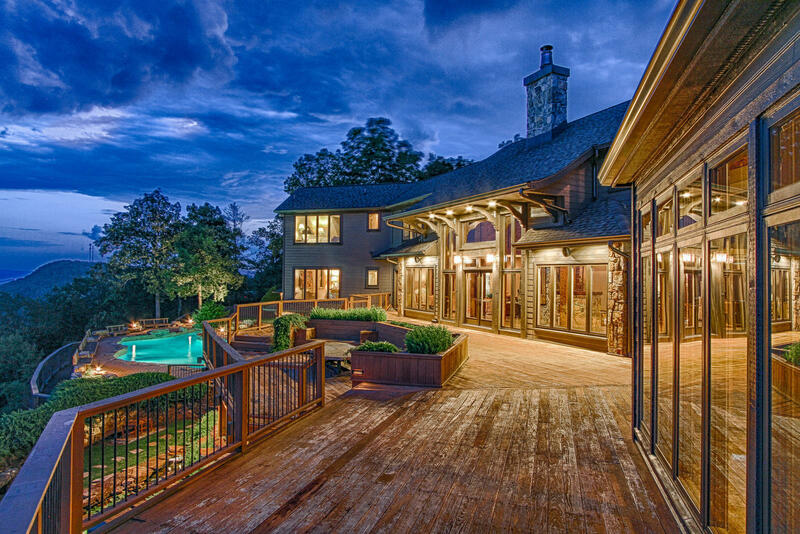 RUSTIC MODERN LUXURY. 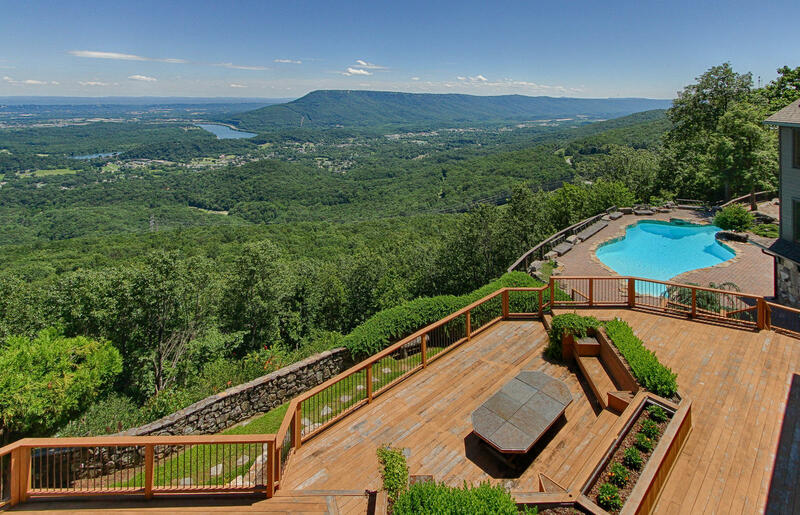 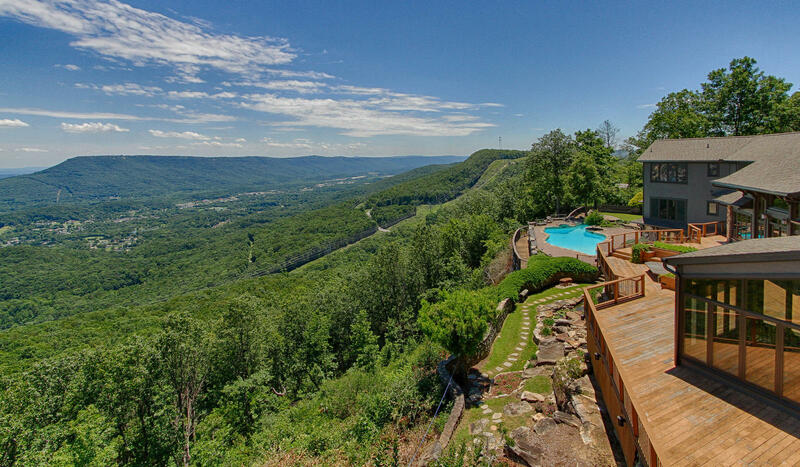 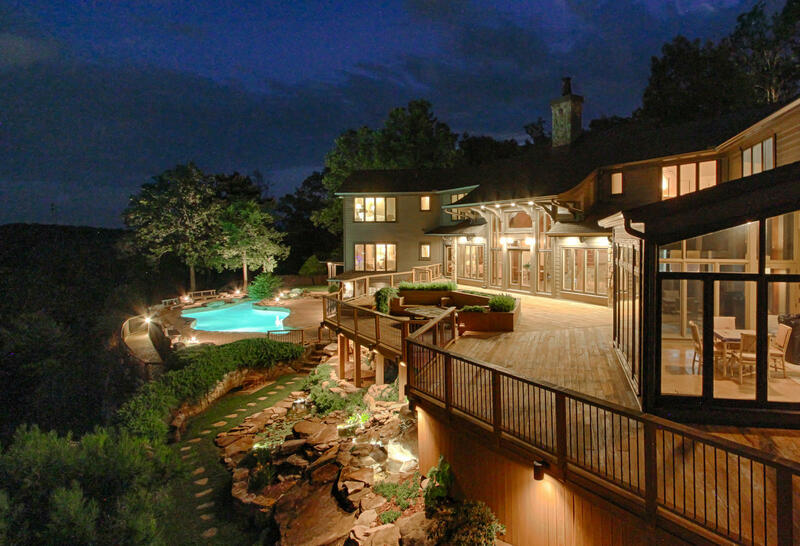 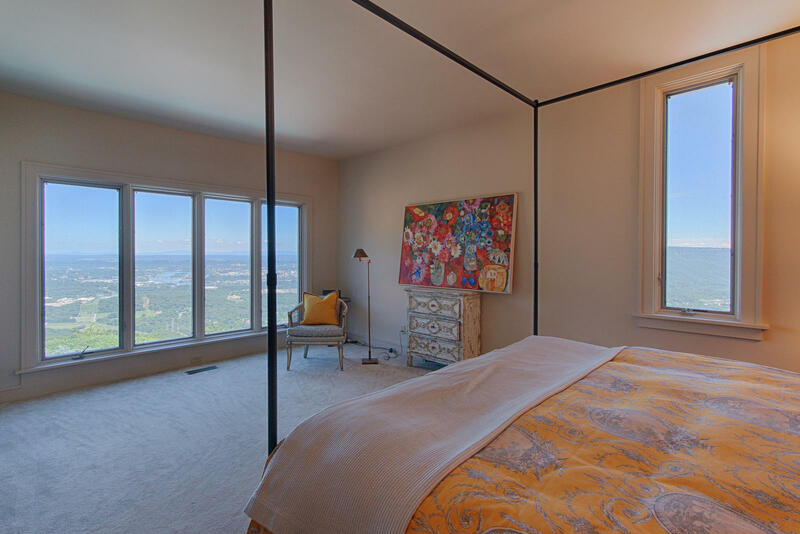 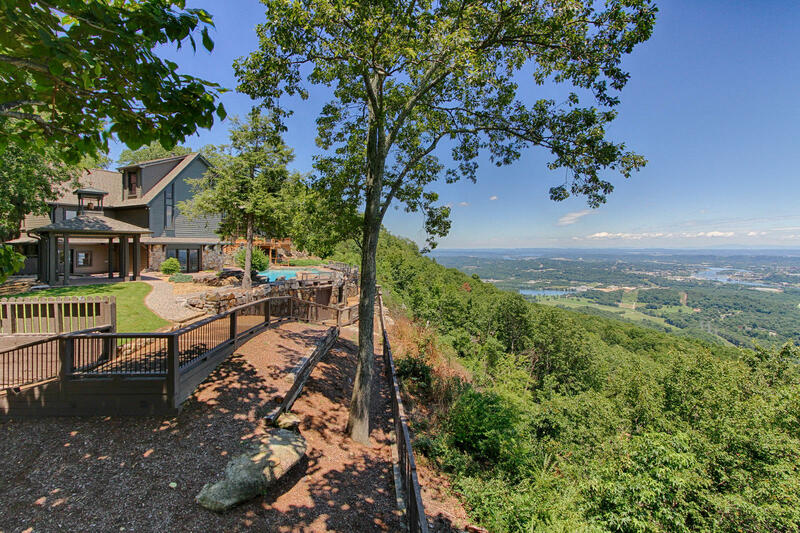 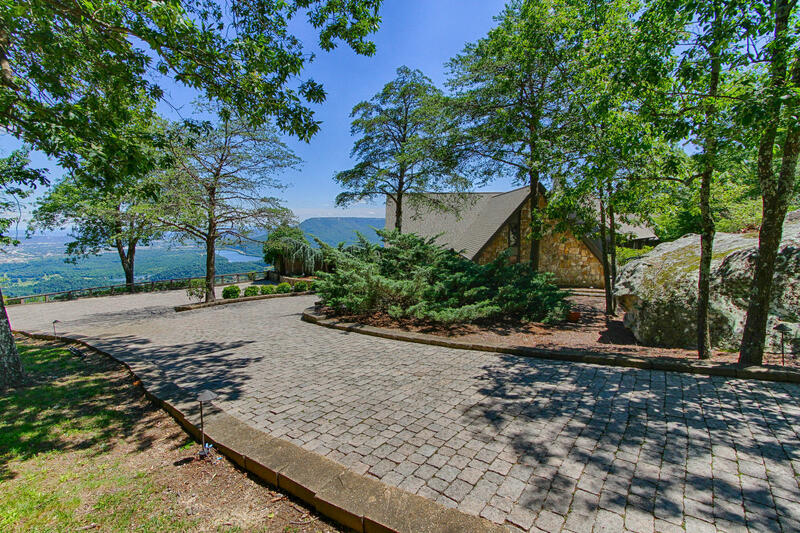 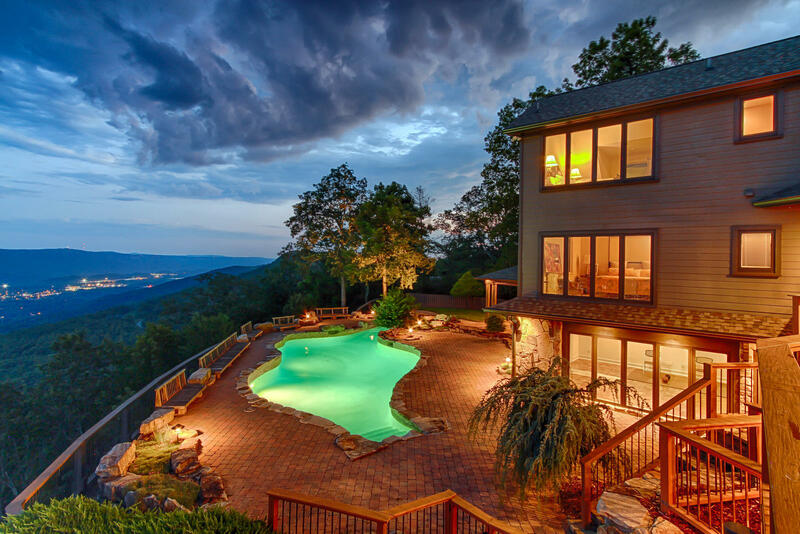 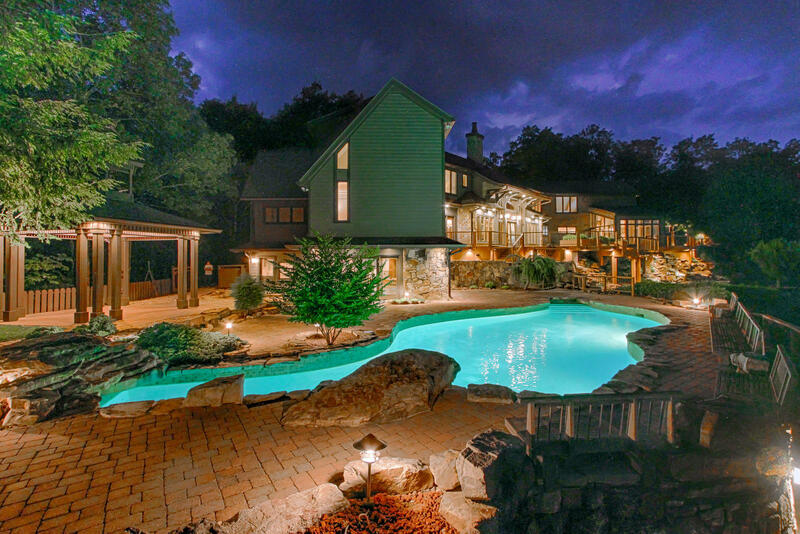 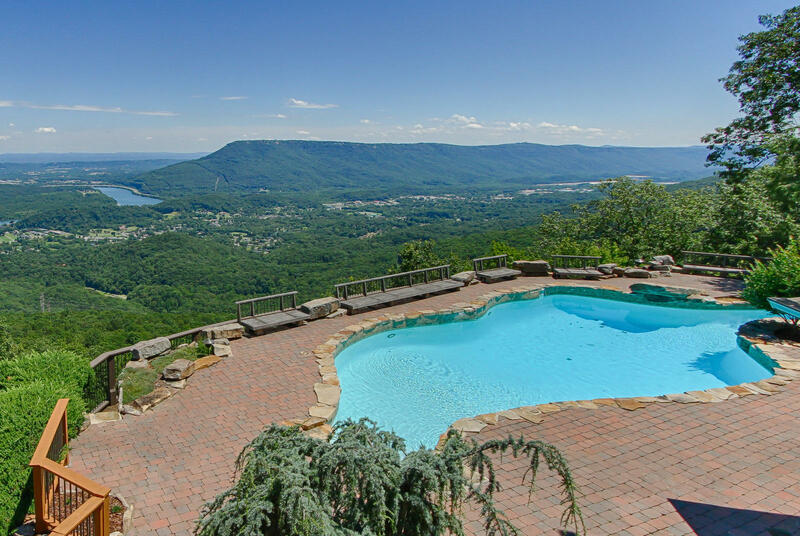 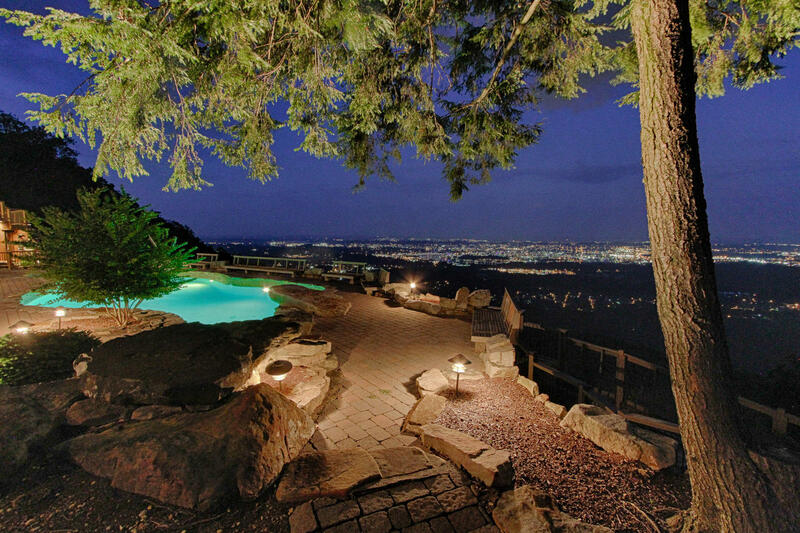 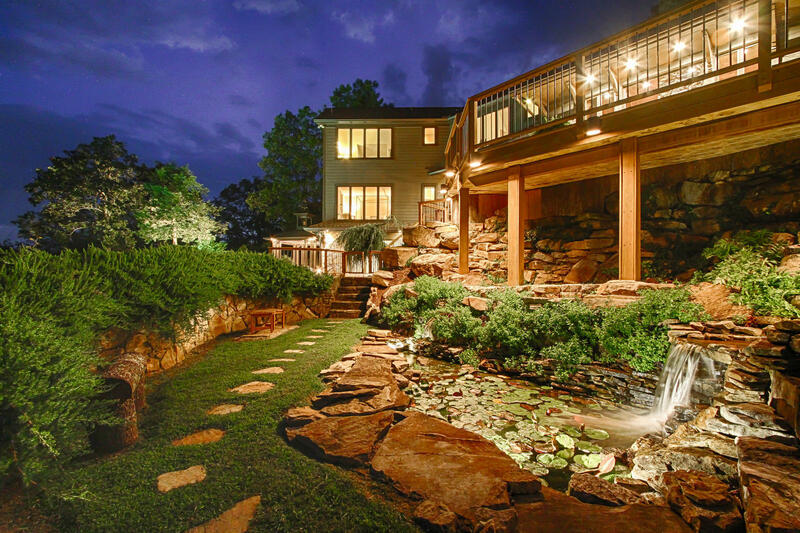 Awe-inspiring views of the Tennessee River, city lights and mountain backdrop greet you upon arrival to this exquisite contemporary estate. 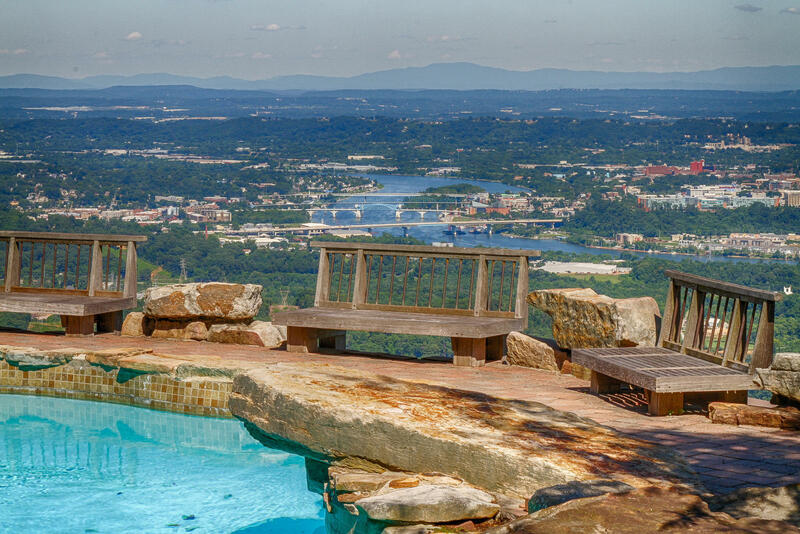 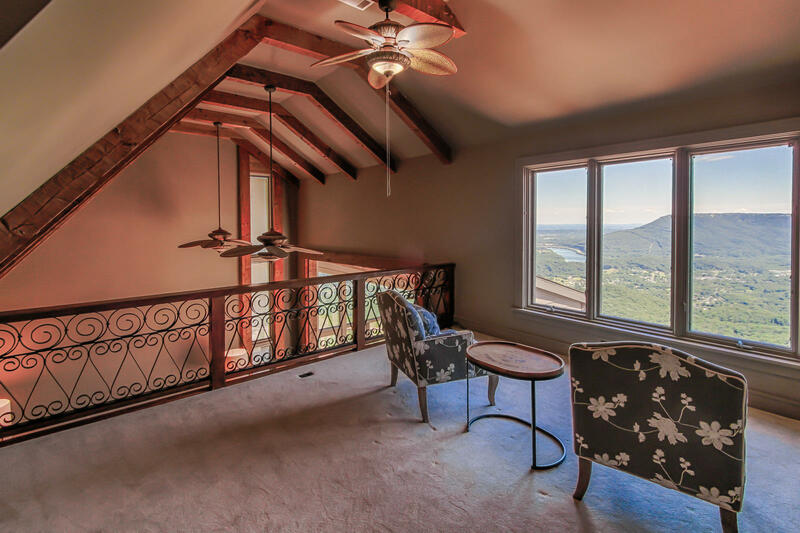 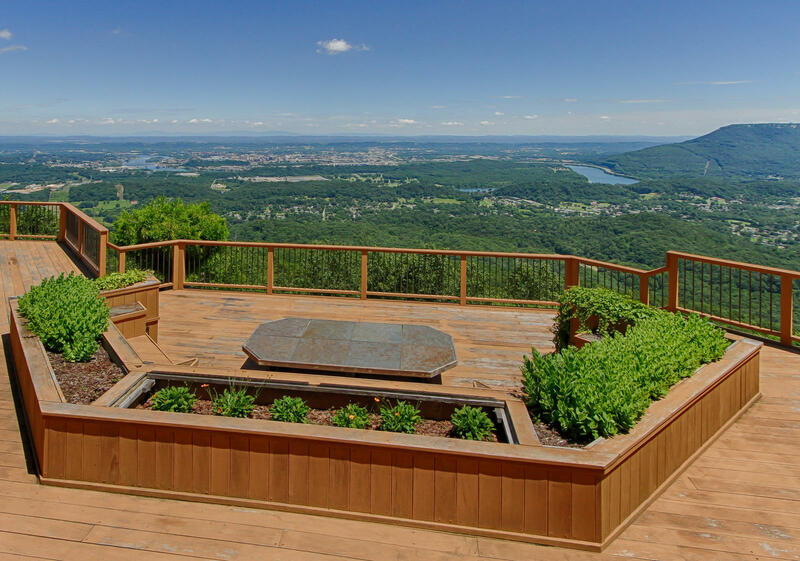 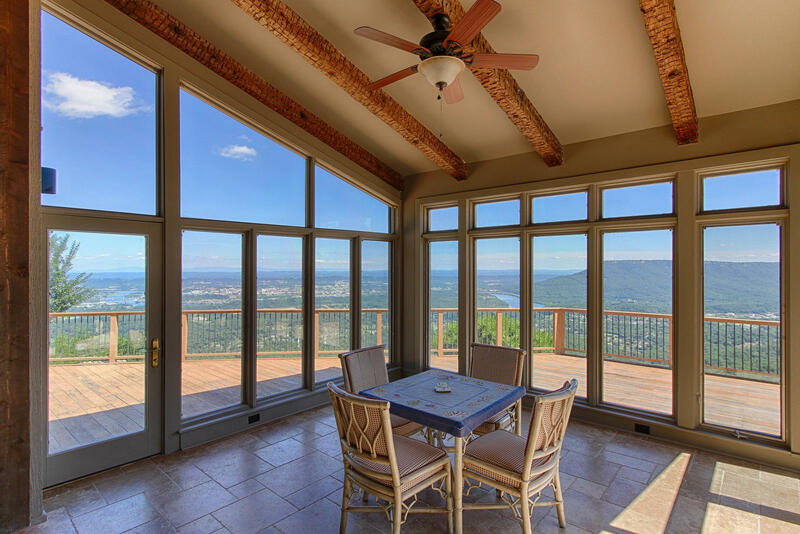 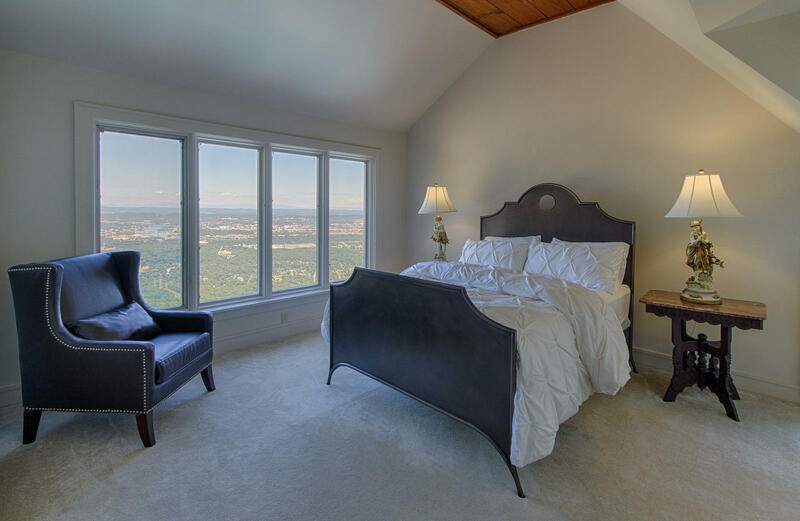 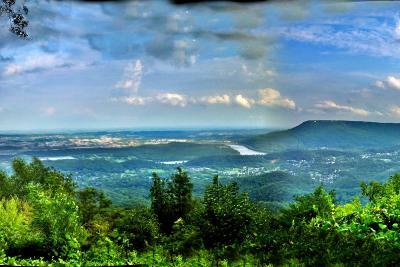 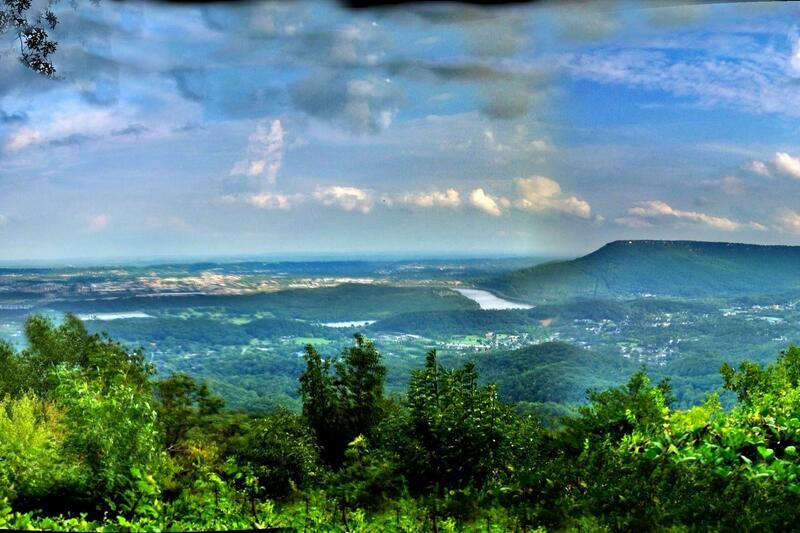 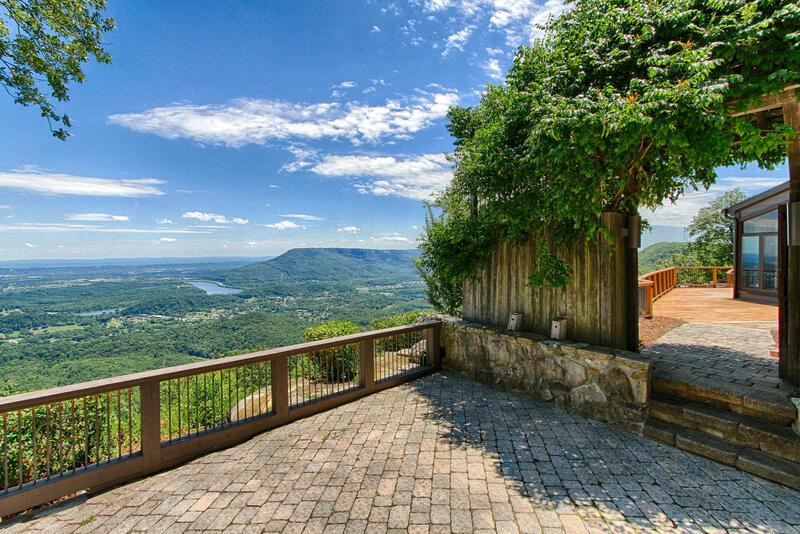 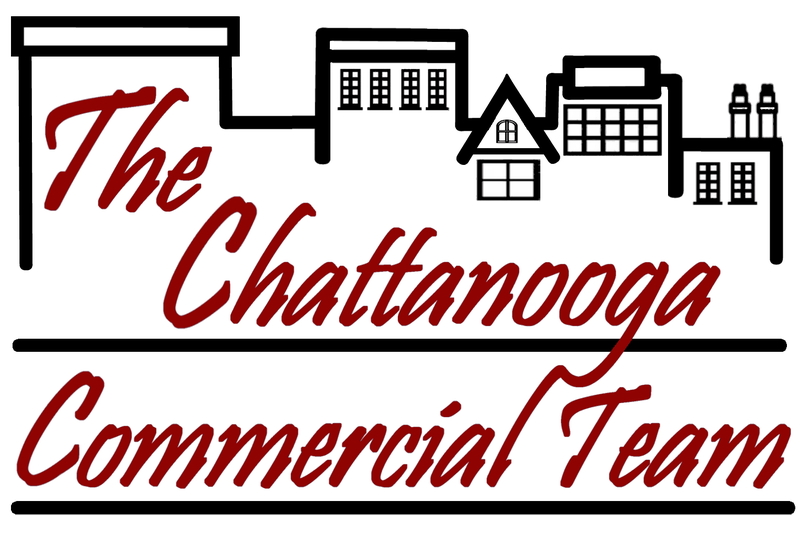 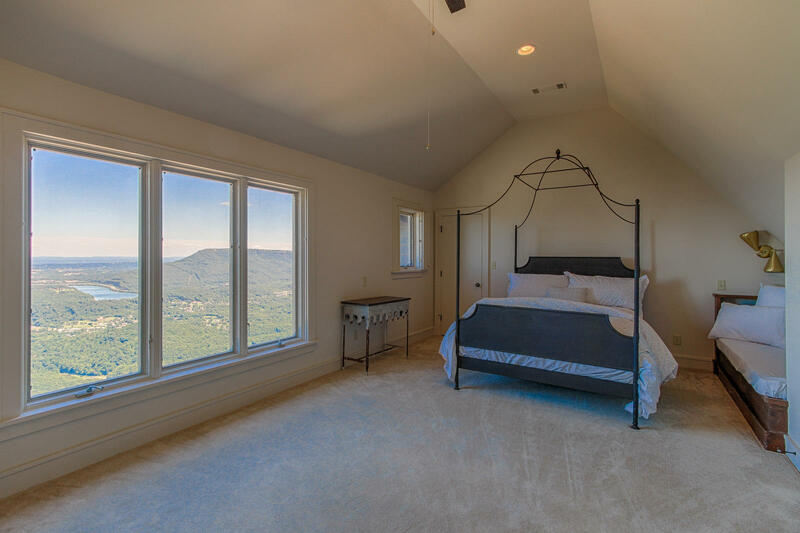 Nestled on Elder Mountain, with what most would agree, one of the most commanding views in Chattanooga, stretching from Lookout Valley to the downtown Walnut Street Bridge and beyond to the Cherokee National Forest. 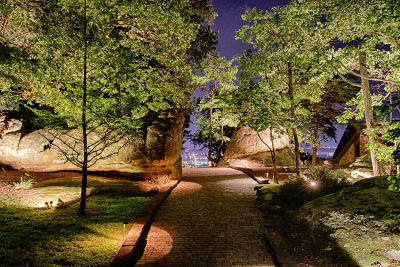 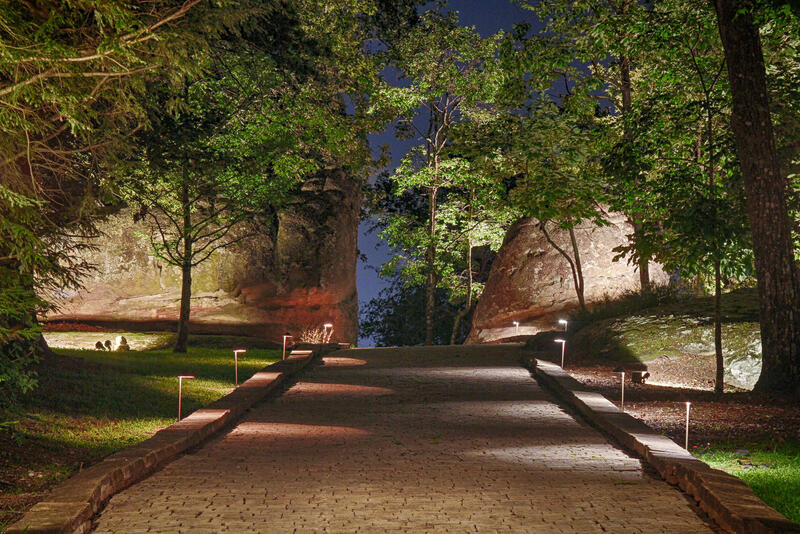 Illuminated rock formations strategically placed for added privacy and mountainous feel reflect a National Park Lodge setting. 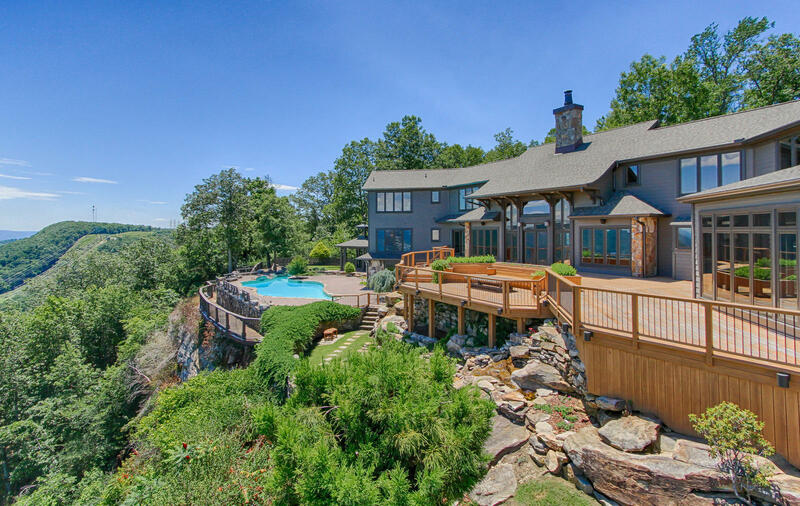 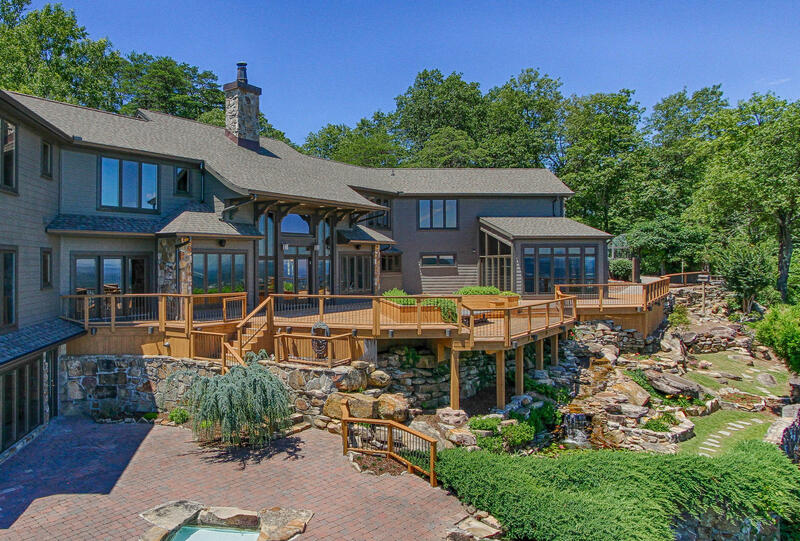 Designed and occupied by a southern artist, the sprawling 6, 600+/- sq foot home rests on 3.3 acres featuring quintessential indoor/outdoor comfort and luxurious living. 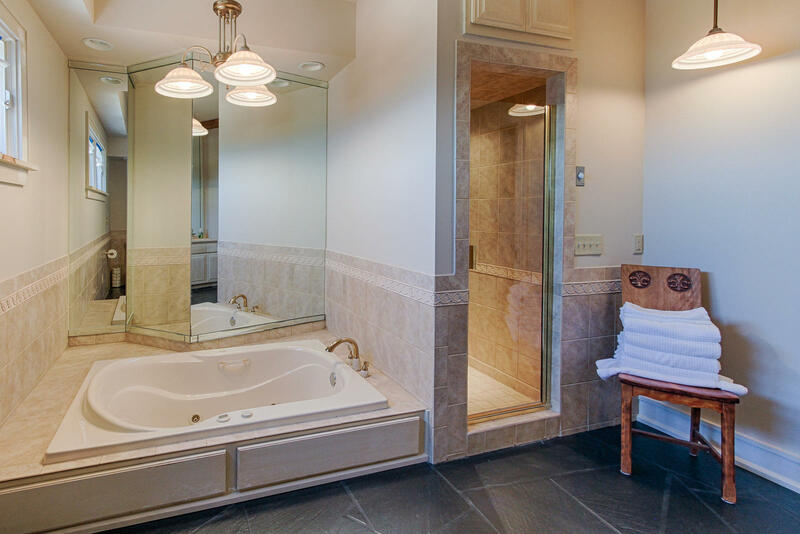 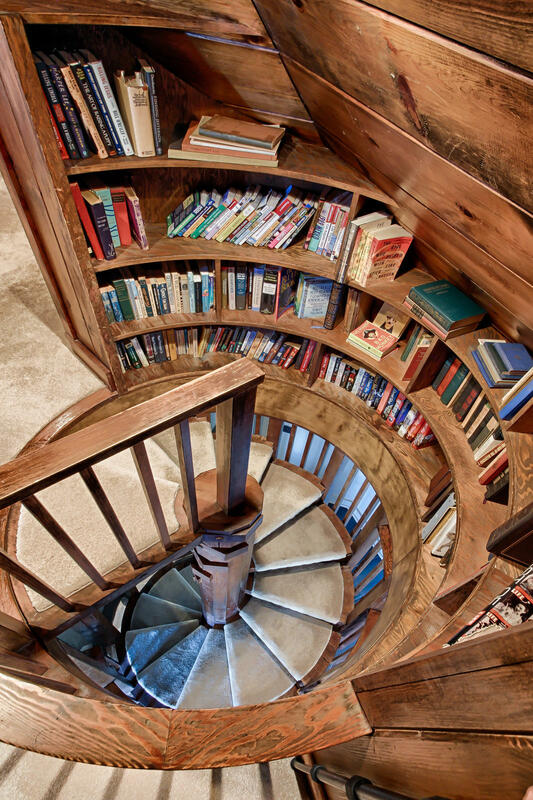 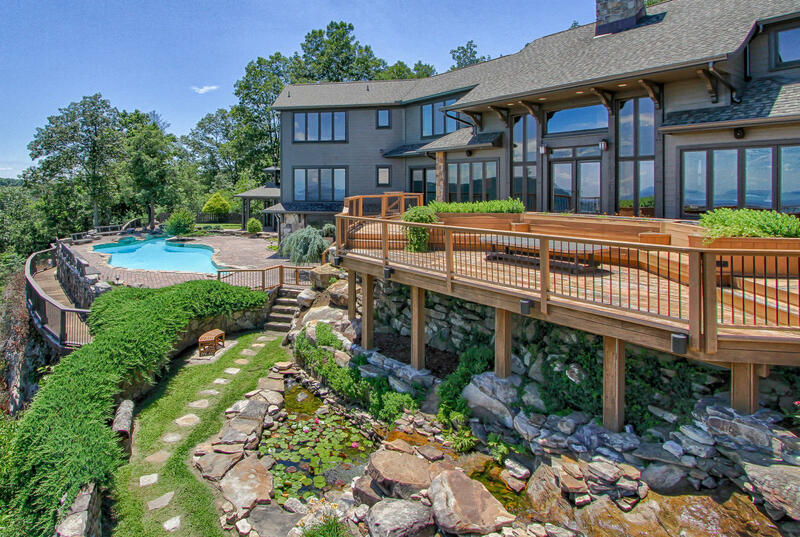 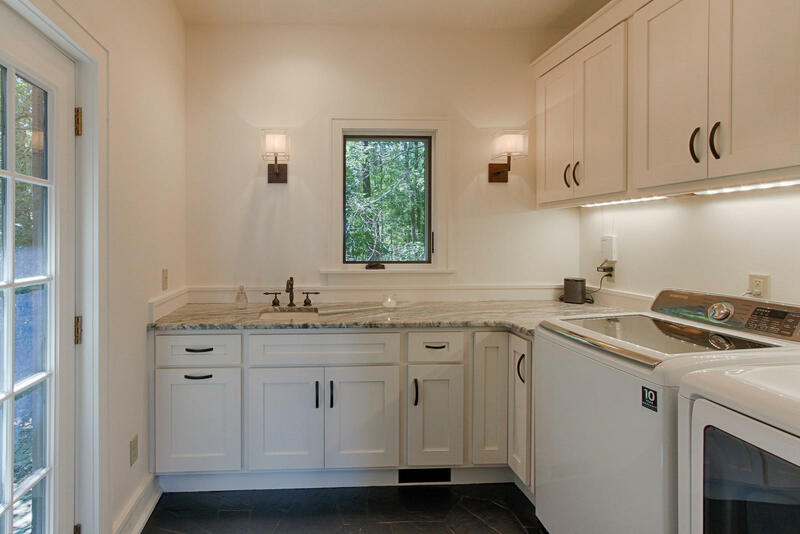 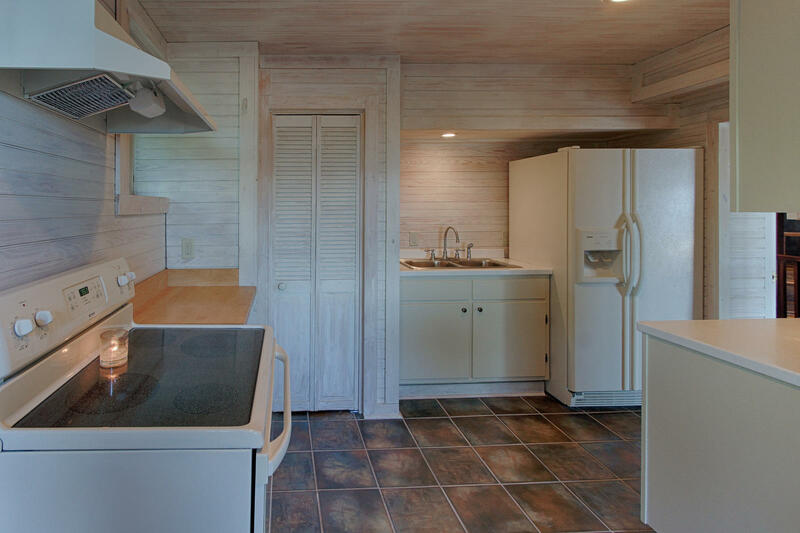 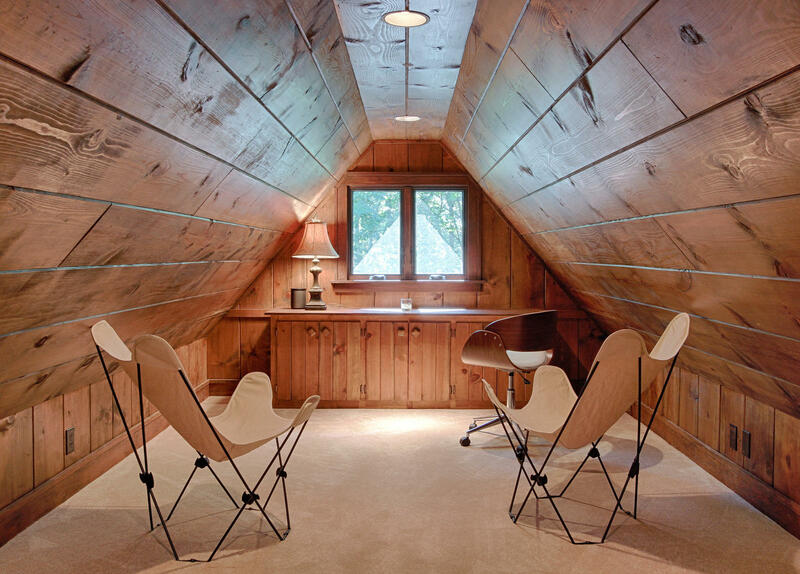 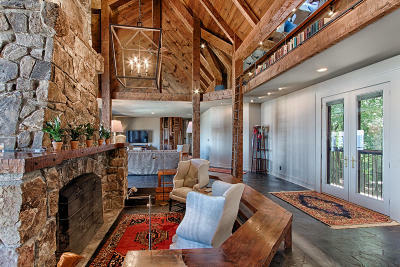 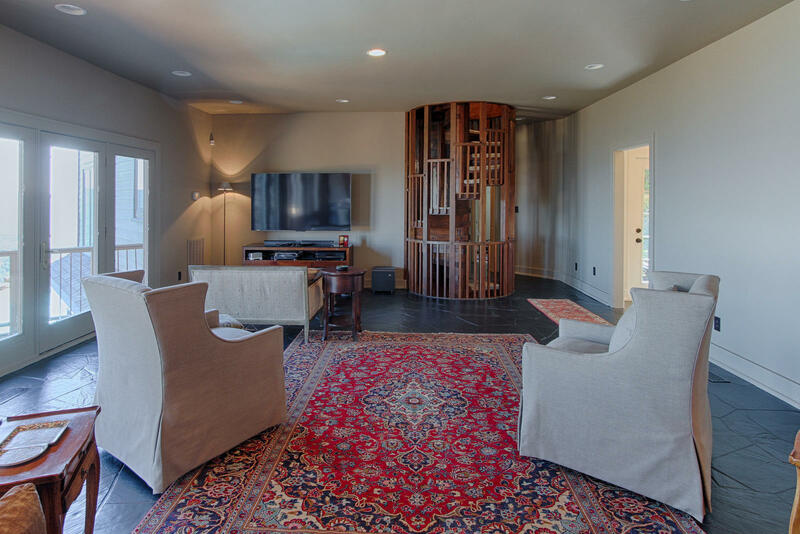 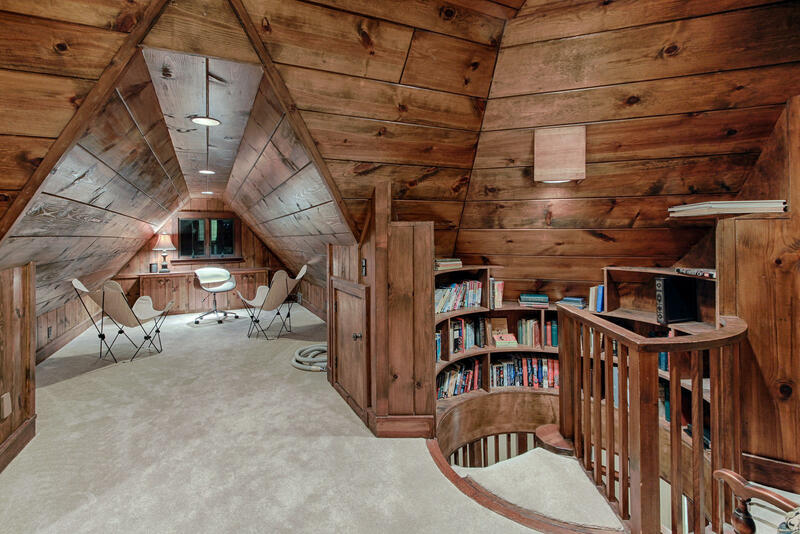 The perfect blend of rustic charm with modern luxury. 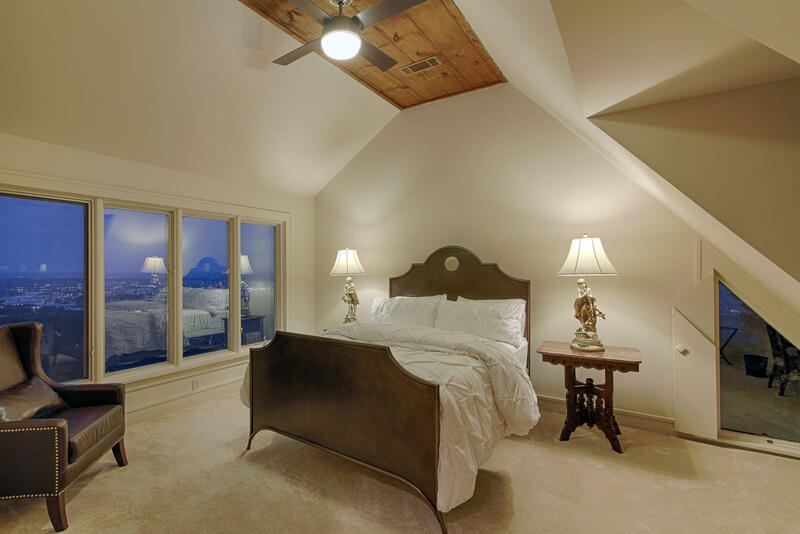 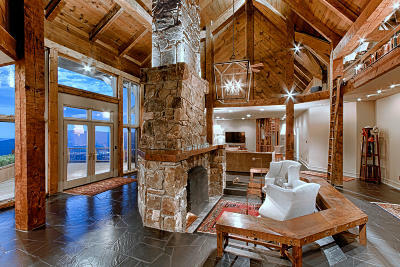 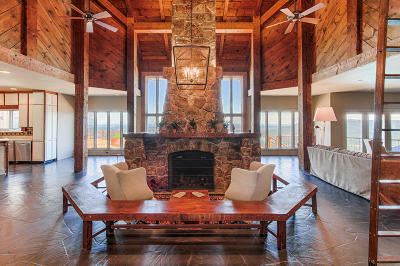 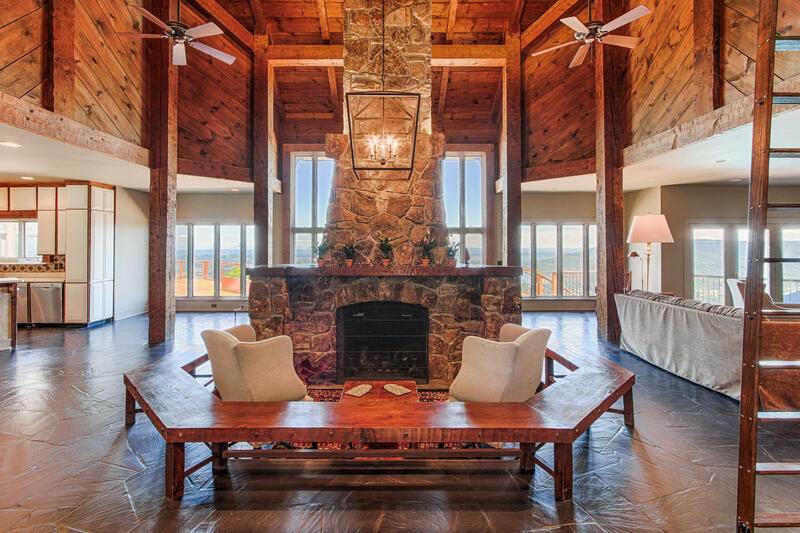 Upon entering the focus is drawn toward the towering mountain stone... fireplace with sunken sitting area, soaring beamed ceilings and walls of glass to absorb the view. 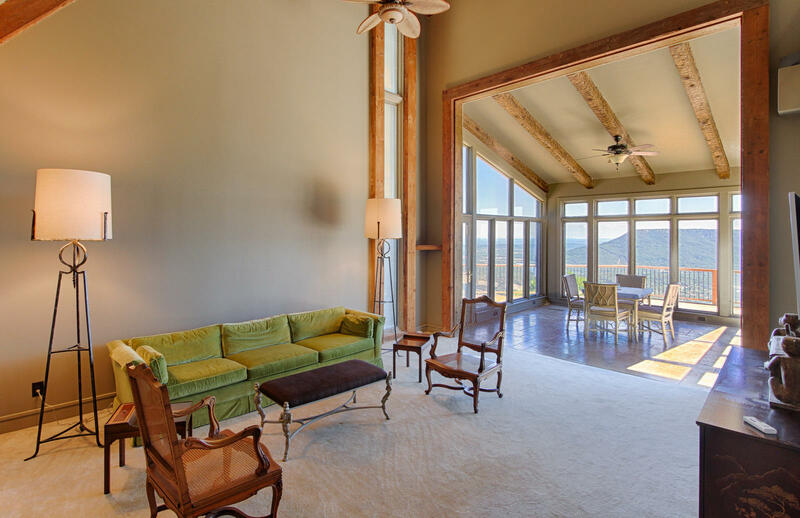 Distinct living quarters on each end of the residence offer privacy with views of the magnificent landscape. 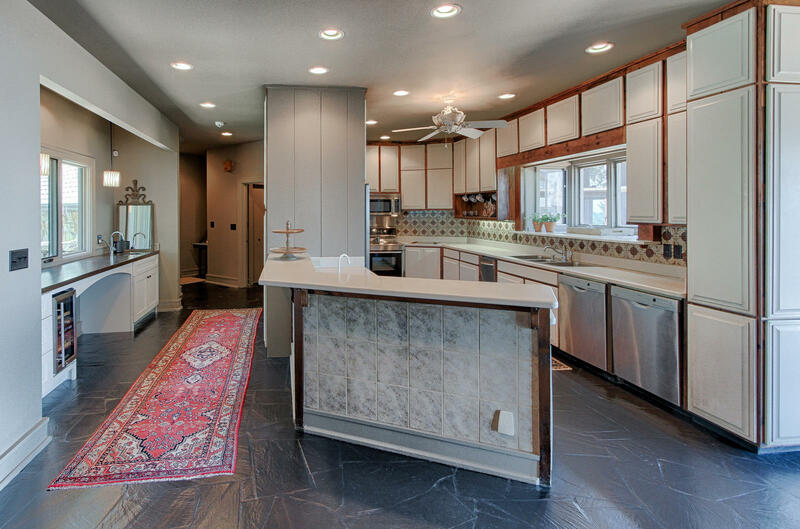 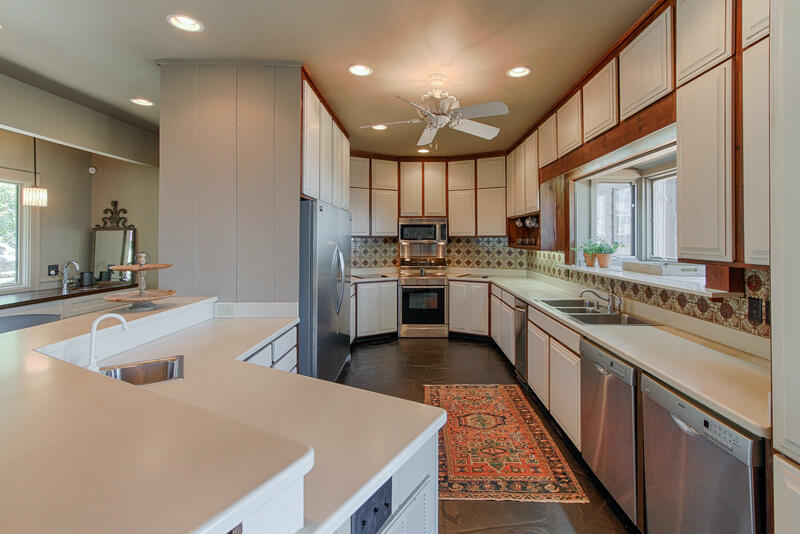 A chef's kitchen comprised of Bosch appliances and clean line custom cabinetry help accentuate the gleaming slate floor. 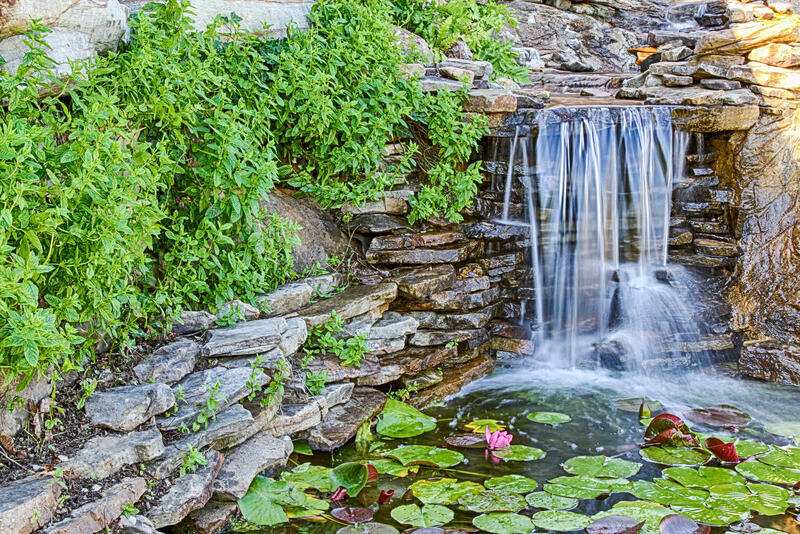 A backyard paradise awaits with an inviting in-ground pool outlined with mountain stone, terraced multi-level decking, gazebo, expansive koi ponds, rock waterfall, ornate foliage and a path of stepping stones to connect all. 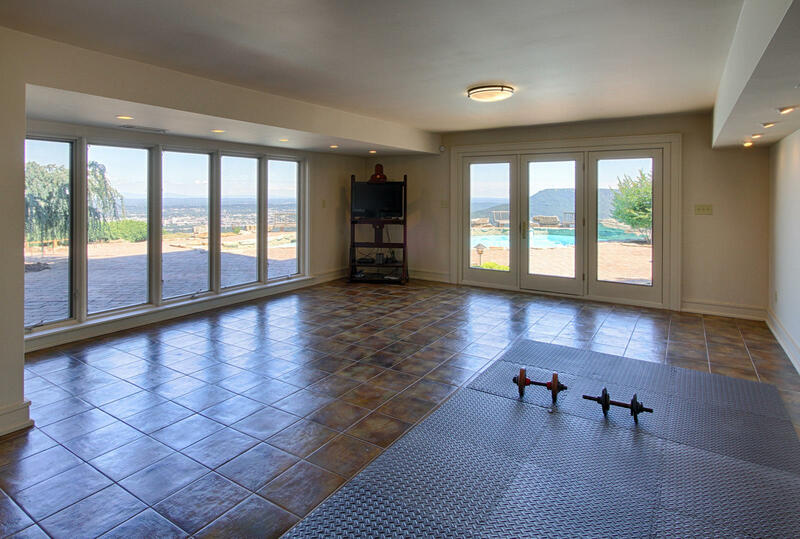 An exquisite, complete and total renovation..this extraordinary estate will mesmerize you with the ever-changing view.